A lot of law firms are one-stop shops that handle dozens of different practice areas, and some have the resources to handle all those responsibilities well. Our firm is smaller, which allows us to focus on each client’s needs. Whether you own a family business or you are a startup, our Round Rock business law attorneys can help you navigate through the complexities of state and federal laws that regulate businesses. Situations that commonly affect businesses include choosing the appropriate business structure, adhering to health and safety regulations, resolving contract disputes, and fighting commercial fraud. 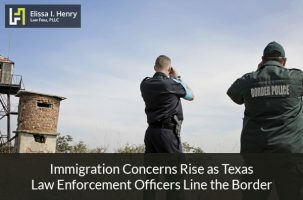 Our Round Rock, Tx immigration lawyers specialize in family-based immigration, which includes adjustment of status, removal of conditions, green card renewal, fiancé visas, naturalization and citizenship, employment authorization, waivers of inadmissibility, and waivers of unlawful presence. 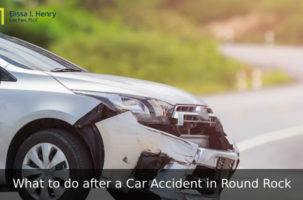 Our Round Rock Personal Injury Attorneys can represent you in personal injury claims involving car accidents, truck accidents, pedestrian accidents, slip-and-fall injuries, medical malpractice, product defect claims, and wrongful death. Estate planning is vital if you want to protect your family’s future. 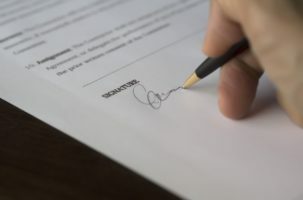 Our Round Rock estate planning lawyers can help you determine whether drawing up a will or creating a trust is the best choice for your situation, and Round Rock probate attorneys can also help you navigate the probate process that occurs after a person dies and a will is read. Elissa I. Henry Law Firm, PLLC was founded on the principle that legal services should be accessible to everyone. Elissa I. Henry Law Firm, PLLC is a small firm with highly-qualified lawyers who care about their clients. Managing Attorney Elissa I. Henry is passionate about helping business owners, clients facing family immigration issues, and clients who have been hurt in an accident and are seeking justice and fair compensation. Please contact us today to see how we can help you. Very helpful and professional law firm and great service. She was quick to respond which is really important to me. Elissa Henry is professional and knowledgable. She helped me understand my process and continues to guide me in the direction I am going. She deserves more than 5 stars! What do you think when someone tells you that they’re a lawyer? Some people may have a negative reaction, because there is so much bad publicity out there about lawyers, regardless of their practice areas. Others may talk about their good experiences with an attorney who helped them obtain justice and right a wrong. But the truth is that lawyers come in all stripes, and like most other professions, a few are outstanding and go above and beyond for their clients, many are average, and a few have lost their passion and dedication, and are just chasing money. So what does all that have to do with my practice? I think honesty is one of the most effective ways to provide security and confidence in my clients, and that’s one of the core values of our law firm. Another core value is my belief that every person who needs help should have access to affordable legal services, regardless of their economic circumstances. That’s why we offer free 30-minute consultations twice a month – in-person and over the phone. The fact that someone in real need of legal help can’t afford an experienced and knowledgeable lawyer shouldn’t be a barrier toward obtaining justice. But it’s even more important to us what happens after we get a client, because if we can’t provide personalized service, then all those other values really don’t matter. What sets us apart is that we always give you options instead of telling you that there is only one way to do things. We are committed to making sure that you understand everything that is pertinent to your case, and that you also understand our strategy in handling every challenge that comes your way. And we do all that while also giving you flexible payment options for your unique financial situation. Click a topic below to find answers to some common questions.